opportunities – if you know where to look! Not sure what you want to do- or prefer a little variety? 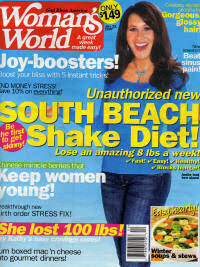 MoneyMakingMommy has been in Woman's World magazine four times now. It's always an honor to be in their magazine. Considering how many “work at home” and mommy blogs are out there (literally millions) — it's nice to get such accolades. You can check out all the media and press that MoneyMakingMommy.com (and it's owner, Kelly Land) has received over the years, by looking over our online press/media page, which can view here. As well, there is an online press release for MoneyMakingMommy.com too. You are welcome to view that here. MoneyMakingMommy.com does offer many ideas on working at home. See the links below for ways to earn extra cash or starting your own home business!